The BeSafe Tablet & Seat Cover provides a safe way to use tablets during journeys by being crash-tested in a severe test and featuring a smart Fidlock closing mechanism that keeps everything in place. 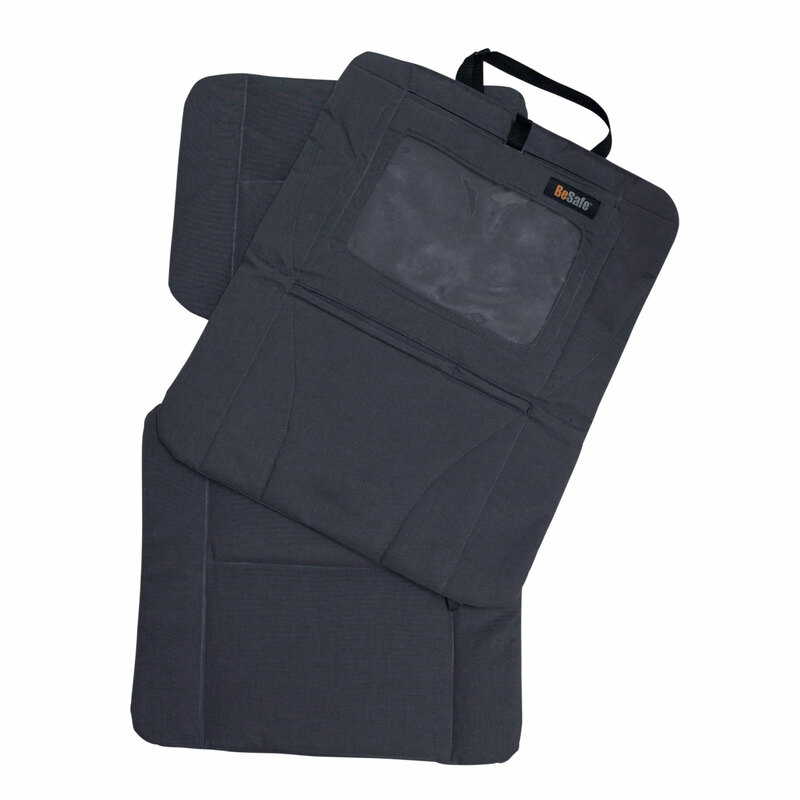 It also protects the vehicle seats from dirt and indents and is easy to clean. Being able to adjust it in height makes it fit all kinds of vehicle seats. By being separable into two parts and featuring an extra fitting strap, it can even be used for forward facing seats. Two Velcro-closed pockets provide space for the small necessities. It is ISOfix compatible.